I signed up for Jackie’s course a couple of days ago and no doubt, you’ll want to get in on the action too after reading this interview. Look out for course details at the end of the post. 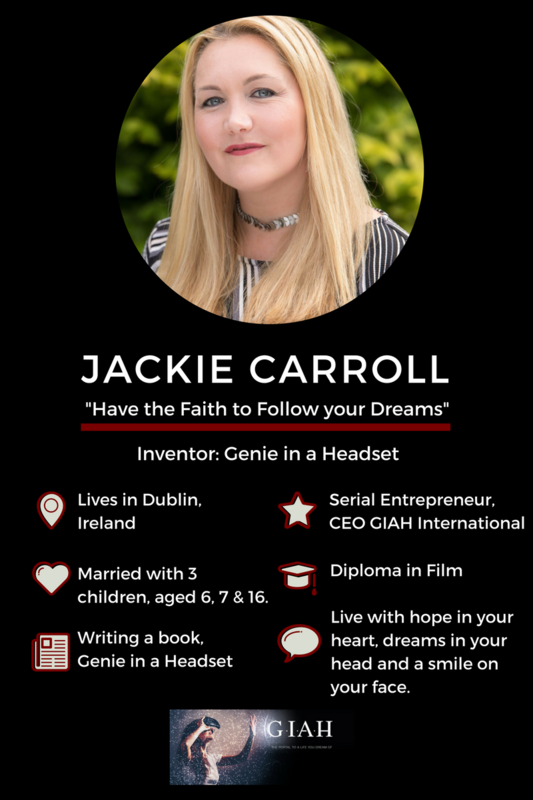 Jackie is a Mom of 3 children, a serial entrepreneur and one very busy lady. I caught Jackie on the fly for this interview. In 2005. My first venture was a business called Monkeynastix. I always wanted my own business, this was an opportunity to step out of the corporate world and give it a shot. When I was a teenager, my Dad had worked for a company for about 15 years and had put a lot of himself into this business, he was hardly ever home. He went into the office one day and was told he was not needed. I was really upset by it. I couldn’t understand how he had devoted so much of his time to this business only to be tossed out. Ever since then I wanted to be a successful business woman, I didn’t want to have a job one day and then not have it another day. I wanted to create my own security. Do you feel there’s a difference between Mother or Father Entrepreneurs? Yes, I do. We are expected to run a business and the family. It’s seldom you come across a man who does, although I do have a friend in the UK who is President of network marketing company and a single Dad. 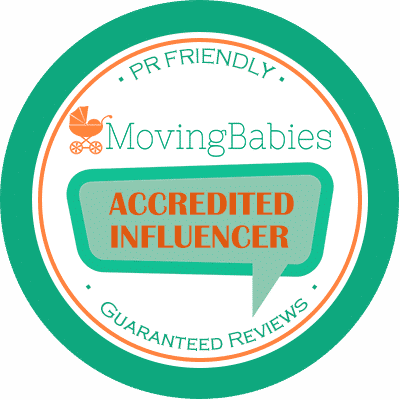 Would you like to share any highs or lows in your career (as a Mompreneur)? Let’s start with the lows, because the lows become the highs, don’t they? You have to go through a rollercoaster ride of challenges and this is where you grow. Every single entrepreneur would have gone through failure to become successful. With Monkeynastics, I was trying to build up this business, it was a young business and I was a young Mom, and my daughter’s Dad tried to take her away from me. I was nearly a year in and just on the cusp of success but the courts would not have deemed my income stable enough so I had to go back to the Corporate world. The second one was a Spa business. This was a case of trusting the wrong people. We went in very ignorant into a new field, and had the wool pulled over our eyes. Our self-confidence wasn’t there yet, I was letting staff tell me how to run the business, I didn’t think I had what it took to lead other people. People think because I’m an extrovert that I’m very confident, but I’m not. As I’ve got older, I’ve learnt that it’s not about what people think of me. So this business was a huge learning curve, massive. When you get to rock bottom, when you’ve lost everything and received death threats from staff who’ve lost everything and hold you personally responsible, you grow. Coming back to Ireland without a penny, we had a real drive to succeed. It shows you that with the right attitude and drive, you can achieve anything. Shane and I started Goldbank. We had to enlist the help of a very special friend to start over but we were able to pay her back within 2 weeks of starting the business. I helped my husband at the beginning, but most of my focus was on the children as they were still teeny tiny at this stage. With my little one’s being born so close together (13 months apart), I had my hands full. When our youngest was about 2 I started looking around for my own business opportunities. Definitely being able to come back from nothing and start Goldbank with Shane. Getting Investors buying into my idea of Genie in a Headset. When I came up with the idea of Genie in a Headset people told me it was too hard. Quite interesting how many people told me what I can’t do, I’m not a developer, I’d never get funding… So getting investors was a defining moment for me. People had faith in my business idea and I walked away with funding. I had no prototype at this stage, no business plan. This was a massive high for me. Ever since then it’s been high after high. Doing the market research is showing me I am on purpose. 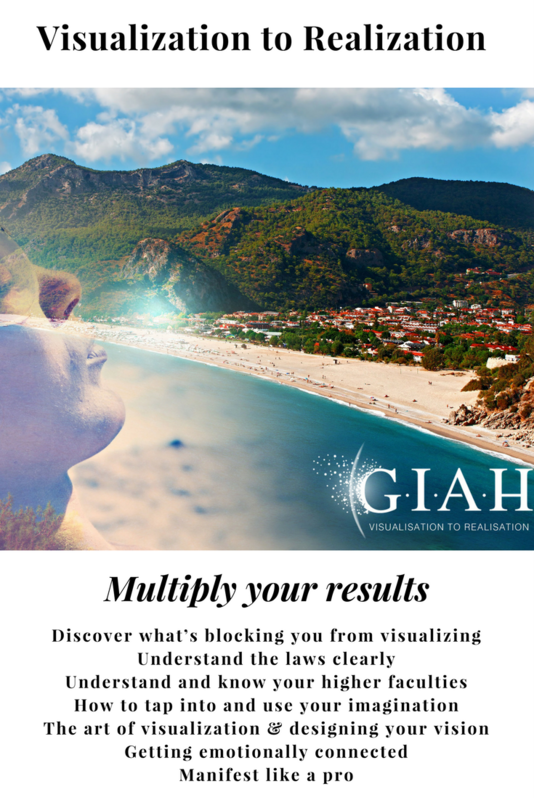 Another high is launching this course (Visualization to Realization.) and the fact that 3 days after I put up my facebook post that I have 6 people enrolled on the course. The day that I had 12 investors interested in my business idea. I picked 3 Investors that I felt were the right fit for my idea. Self-confidence – I still work on it every day. Every day is a highlight to be perfectly honest. You’re proud of your children (all 3 of them) and who they’ve become. To respond instead of react. When they are fighting, if you react they are in control, if you respond, you are in control. This is true with every situation in life. Has it been tricky balancing work and home life? It has its challenges. That you can earn money while still being able to fetch kids from school, go to plays and stuff. I wouldn’t change it. 100% – I love to Travel and we would never have been able to travel so often if we worked in Corporate. My absolute favourite, I love Thailand, we’ve been 3 times. I love our travels around Europe as well, we have been to Malta, Malaga, Spain, Portugal, Italy, France, Netherlands, Estonia, Amsterdam, UK, done all the Canaries, Sicily, New York, Florida, and bits of Africa to name but a few of the places we have been, we’re constantly travelling. Yes. Well, I have the most amazing space – beautiful fish tank, bookcase, beautiful family photos all around me. Yes, there are more distractions. Yeah, in my diary I have every hour planned out. 5-6 days a week. As you know, as an entrepreneur you’re constantly working but I do take one day a week completely off. My entire focus is on my family on SUNDAY. I am not available for calls or coaching or anything on Sunday. It’s difficult to say because I take the kids to school and then work while they are at school. Most mornings we walk the dogs first, that’s my time with hubby. Then I have about 5 hours before I collect kids, come home, homework, lunch, dinner, bath time and then bed. I might do 1 or 2 hours after they go to sleep. On Saturday nights I usually watch a movie with Shane. Sunday the entire day together. So not much time for hubby then? Well, remember he’s at home too, so he’s always in background. Yes. Well, it’s in progress. For now, it’s a masterpiece in making. Interesting question… I feel content and very happy with everything but because I haven’t launched Genie in a Headset yet, I feel that wouldn’t be complete. Would there be anyone who could continue your work if you were not able to complete it? My Investors might be able to but because we’re still building it and it’s my idea, my invention, I am still essential to the process. When my Mom died, she died very unhappy. She had given up on her life and her dreams. I was 19 at the time and it had a huge impact on my life. Because of this I am a person who’s always wanted the best for everyone. I’m about adding value to people’s lives and wanting them to hold onto their dreams and their hopes. I believe that regardless of any situation for people if you go to your grave with hope in your heart, dreams in your head and a smile on your face, you have a lot more than most. Is there a book or a song or a movie that has had huge significance or meaning in your life? Yes, all three. Firework by Katy Perry (listen to the words – you are so much more than you think you are). Movie: The Secret by Rhonda Byrne. And also, I’ve attended incredible courses. 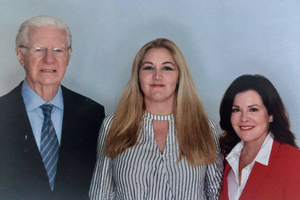 I was introduced to Bob Proctor by a friend of mine in Network Marketing. I did his course, Thinking into Results. More importantly my coach, Ewa Pietrzak. She is amaaaazing. Women are really good. we have these higher faculties that make us special beings on this earth and there’s no end to what we can accomplish when we really trust your intuition. Trust your gut, if something feels right, go for it. Be determined, don’t let other people tell you something can’t be done. Have FAITH – if I didn’t have faith I wouldn’t be where I am today. Don’t let people tell that you are not good enough, smart enough, beautiful enough – if you have a business idea and you want to go for it, don’t let other people tell you it can’t be done. Don’t be afraid to step through your terror barrier because on the other side lies the magic. Interesting question – if I could go back to my 23-year-old self –the one thing I would say is don’t take the baby for granted because the baby grows very quickly. Slow down and really appreciate and savour every moment. Celebrate every milestone. Before you know it, they are grown up. It goes so quickly. Is there anything you feel you missed out on by becoming an entrepreneur? Absolutely not. Knowledge, Time Freedom (to spend with my kids), Growth, Awareness, You grow as a person, you become so much more than what you were before you started, you’re constantly growing and raising your level of awareness. It’s definitely more challenging – the sweetness is at the other end. If you don’t take the risk you’ll never get the reward. The most important thing I’ve learnt is understanding your life purpose and how to align your life purpose into your vision and your goals. Are you living on purpose? Is your vision aligned to your purpose? Goals are the stepping stones to your vision. That’s exactly what I’ll be teaching in my course. I teach people how to find their life purpose and how to use visualization to manifest anything they want. Visualisation and Goal Setting. Are there any people who have been enormously helpful to you? 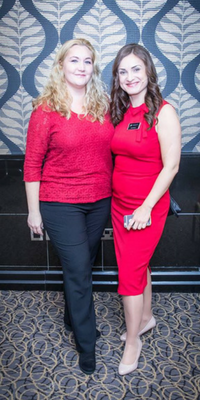 As mentioned my Coach, Ewa Pietrzak, as well as Bob Proctor and Sandy Gallagher. Are there any courses or studies you feel have been essential to your success? Moms, or women who want to get their quantum leap, who want to multiply their efforts without having to do more. Women who understand self-development and understand it’s value and now are looking to multiply their results. Is your market local or international? Global. How will you serve a global market when you’re teaching your course? In our Beta program – there will be flexibility. If someone is in a different time zone we will accommodate them as we’re going to work with people one-on-one. When the course launches in January 2018, there will be set times, two different webinars, one in the morning, one in the afternoon. And you’ll be able to get hold of the replays any time you like. BETA is a discounted priced program because it serves as a focus group for me. My BETA program pricing is ½ off and I will be asking participants for feedback and a testimonial. 8 – 10 people who are stuck with their results, you know what you want, but you just aren’t getting there. You might be you’re struggling to find your perfect partner or your ideal career? Or wanting to create a successful business or generate more money? This course is all about tapping into the power of your imagination to create the life of your dreams. Understanding the laws of the universe, our higher faculties, and how to attain anything you desire. 7-8 weeks – we might need an extra week for creating vision boards, we don’t want to rush the creative process. And right now is the best time to get involved at the best possible pricing? Yes. Plus those who join the Beta Program will be entitled to join our Affiliate Program and promote our Course, and my book, Genie in a Headset. The book will be available in the last week in December, just before New Year and the official launch of the Course will be January 2018. When does your Beta Course Start? On Monday, 6th November 2017. We only have two places left for this course, so book now. Moms, would love to hear your views. Have you ever created a vision board before? What visualizing and manifesting techniques do you use? I was very happy to read this nice interview you had with Jackie Carroll. I admire her for following her dream and now being able to help many people also having their dreams fulfilled. What a clever idea to present this course as a game you can follow having this headset. I suppose that will appeal very much to the younger generation used to the modern life technical things. I belong to the older generation, those people who will read a book. I have used a wish board for quite some years and I have followed webinars and master classes online. I used a very visual meditation of Bob Proctor for a long time, one that clears blocking elements which hinder you from moving forward. Then in May 2015 something unusual happened. Dutch friends gave me a video, finding your soulmate. It is also a meditative visualization. I played it 3 times in one week. Each time I cried my eyes out, I think it was like a cleaning of past things still stuck to me which neither helped me. Anyhow, 1 month later Michael and I started to talk to each other and 1 year after that he moved to Spain with his motorbike, car and cat and some 156 boxes. There you see what visualizations can do, they can change your life. One has to take care of what one thinks, scientists have discovered that repeated thoughts create neuron pathways, then the brain takes these thoughts to be true. Therefore it is important to think positive things as these thoughts create your future. I am sure this course will be a big help to people who look for a positive change in their lives. Thank you, Lauren, for bringing this to our attention. 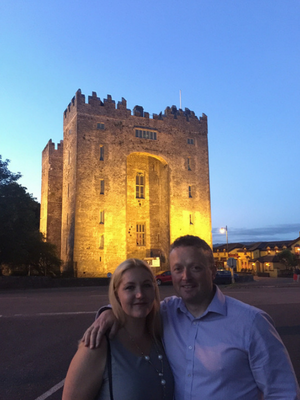 Thank you so much for sharing your amazing story – it gave me goosebumps! Visualization to Realization indeed. You are so right, this work is life-changing. Thank you for sharing this post! Once again I am amazed by how those who succeed have failed once, even twice or how many more times, but they kept going. Most people fail once and then think they can’t do it. I really think the simple difference between those who succeed and those who don’t is the ability to keep trying especially keeping a vision in place. Jackie Carroll is an inspiration, an amazing woman, once again she shows us mums that there is no excuse. We all can do it. A mom has more than her fair share of chores but being determined gets us there. We have to keep believing in our self. Jackie’s visualization courses help along the way, in a big way. Makes us feel that we are never alone. 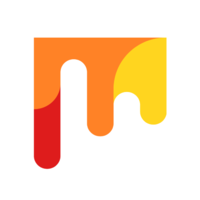 Your post on the interview is really comprehensive and touches on many valuable nuggets. Thank you Lauren. The work that you do to help mums is invaluable. Thanks for your very special comment, Danielle. I know that you are at the forefront of this kind of work yourself. Really appreciate you taking the time to read my post and respond in the middle of your launch. I am so delighted to read this article and hear about Jackie’s drive to be an inspiration to others. When we choose to truly hear our own inner self, the world, our own inner world, becomes a place of such freedom and inter connection. This course sounds really fabulous. I am sure it will be incredibly successful. I look forward to hearing how the beta course goes. Please keep me in the loop. I am really liking the design of the course, and the very positive aspects of discovery. Think of all the people who will bring so much joy to each other through doing this work. And so many kudos to you Lauren and to Jackie, for showing mothers, we are the change we are seeking. Because then due to courses like this, we show our children that living in our inner spirit of truth is how we bring peace and so much love. Jackie’s course is teaching the heart of Yes We Can! Wow! Thanks for your passionate rave review, Ariel! Will definitely keep you posted on the beta course. What a truly remarkable and inspiring lady! I am always in awe of mum’s who juggle both a home and business. Everyone does have their fair shares of ups and downs and your tenacity and determination for your family is really inspiring. I’ve signed up for the launch of the GIAH and can’t wait to see what it’s all about. Awesome, Teresa! Thanks for your enthusiastic response.